What to do if your recording is rejected? The reality of any industry is that we do not all succeed the first time around. If you have worked hard on a demo, taken the time out to submit it and either didn’t hear back from the record label or received a rejection letter – it is only expected that you would be disappointed. But do not give up, there are other options. It can take months for a record label to get a chance to hear your demo. In fact, you may think you have been rejected, when actually they simply have not had the chance to hear it. It can pay to send them an occasional email until you have a definite response. Once rejected, do not assume you can never resubmit to that record label. Always consider other labels if you have not done so. When your band records new stuff, submit it again to the record labels of choice, even if they rejected your previous demo. Email the record labels to inform them of gigs that your band may have coming up – especially notable ones. The quality of a demo is not necessarily the reason that you were rejected, but it can however make a difference in terms of the immediate feelings towards your band. Consider recording your demo again with better software. 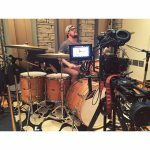 Consider recording your demo again in a recording studio. Keep in mind that it is the first few notes and chords that sell the song. A CD cover that looks professional can go a long way in getting peoples attention. Have a friend snap a few band photos. Possibly do low budget photos to include on your CD cover. Have somebody consider your band bio, to spell-check it and if possible, to improve it. An old Chinese proverb says, “Fall seven times, and stand up eight.” So no matter how many rejection letters you get – keep trying. You sincerely never know who may be listening one day. 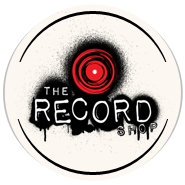 http://therecordshopnashville.com/wp-content/uploads/2018/10/nashville-recording-studio.png 0 0 Editor http://therecordshopnashville.com/wp-content/uploads/2018/10/nashville-recording-studio.png Editor2015-05-11 22:37:362015-05-11 22:37:36What to do if your recording is rejected? Get noticed! Effective strategies for your music videos to become popular How to Self-Release a Record?